VSA arts is an International organization that creates learning opportunities through the arts for people with disabilities. The organization offers arts-based programs in creative writing, dance, drama, music and the visual arts. This site contains information on: storytelling as an effective communications tool, how stories can enhance learning and healing, and bibliographies on a variety of therapeutic and social health issues. This is a pilot project that brings attention, compassion, support in parenting, and dignity to mothers who have breast cancer by helping them record their life stories and personal legacies. Healing stories involving trees and forests. Heather Forest’s website includes some excellent ideas that would be useful in many settings, classroom and beyond. Articles from Doug Lipman. This large collection covers a wide range of storytelling topics such as: The Basics of Storytelling, Bibliographies, The Community of Storytellers, Education and Storytelling, eTips from the Storytelling Coach, Finding and Creating Stories, Performing, Professional Development, Storytelling Concepts, Storytelling in Society and Working with Stories. Collections of Epics, Fairy Tales, Folklore, Fables, Nursery Rhymes, Myths, Legends, Bible, Classics, Facts and Fiction from Ancient Egypt to the present day. Storytelling and Educational Resources & Information for Storytellers, Teachers, Librarians, Homeschoolers, Environmentalists, Parents, Grandparents and advice from professionals all over the world. Share and tell stories about hope and peace . . . for the sake of the children, and their children and the generations to follow. Comprehensive collections, for storytellers, of articles, links, and information on the oral tradition and the art of storytelling – compiled by Tim Sheppard. The Time Slips Project has generated hundreds of stories, produced plays and art exhibits, and rekindled the hope for human connection among people struggling with Alzheimer’s Disease and related dementia. Welcome to my Wisdom Tale pages. This is the part of my web site devoted to stories, healing, and spirituality, or the getting of wisdom. “To inspire and equip people to practise reconciliation and peace-making in their own communities and lives.” Topics include: Reconciliation Resources, Facilitation & Dialogue Skills, The Power of Stories, Refusing Violence, Multifaith, and Music of the World. Arts and Healing Network is an on-line resource celebrating the connection between art and healing. Our web site serves as an international resource for anyone interested in the healing potential of art. The National Coalition of Creative Arts Therapies Associations (NCCATA), founded in 1979, is an alliance of professional associations dedicated to the advancement of the arts as therapeutic modalities. Drama therapy is an active, experiential approach that facilitates the client’s ability to tell his/her story. As poetry therapists, we use all forms of literature and the language arts, and we are united by our love of the word, and our passion for enhancing the lives of others and ourselves. The goal of Silence Speaks is to provide support, skills, and equipment needed to create multimedia about the impact of violence. The Center for Narrative Studies (CNS) Washington DC is a multi-disciplinary team dedicated to applying narrative theory to the practical renewal of leadership in culture and communities. Dedicated to encourage healing through the arts. Survivors Art Foundation is a non-profit organization committed to empowering trauma survivors with effective expressive outlets via internet art gallery, outreach programs, national exhibitions, publications and development of employment skills. 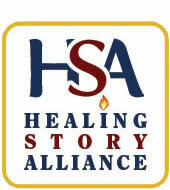 Wholistic Health, Education, and Empowerment for Life is a national leader in storytelling for prevention and healing, as well as accelerated, multicultural learning.